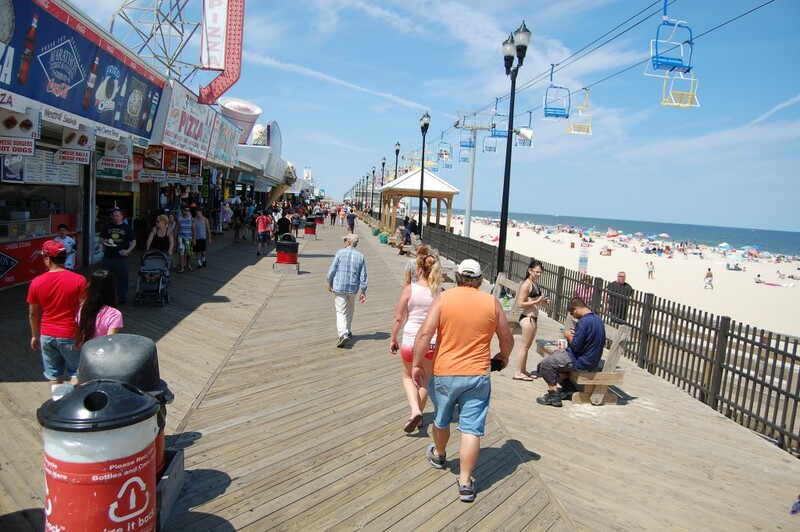 A daily tradition in Seaside Heights will temporarily be suspended, borough officials decided Monday. Earlier this summer, the borough began playing the Star-Spangled Banner each morning at 11 a.m. on the boardwalk following repairs to a public address system that allowed them to do so. Those repairs, however, were apparently not enough. Vaz said officials had tried to use the transmitter just once a day for the playing of the national anthem, but even under those circumstances, loud static could sometimes be heard all day long. “And it’s random. We never know which particular speakers are going to annoy everybody,” he said. At this point, Vaz said, the borough is obtaining prices for a hard-wired system that will remedy the issue, but in the mean time, the system – including the daily playing of the national anthem – will be shut off. When a new PA system is installed, officials plan on restoring the daily tradition.